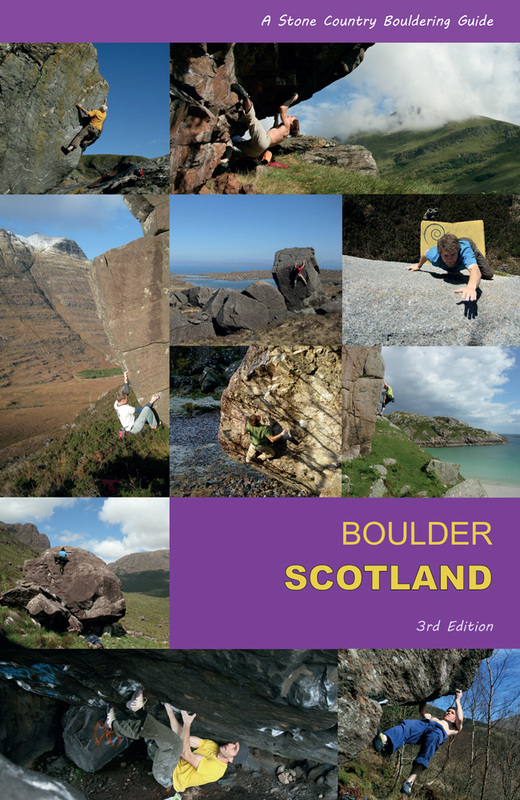 Ian Taylor's complete Ullapool bouldering guide is now available here and on the new Stone Country Bouldering site. 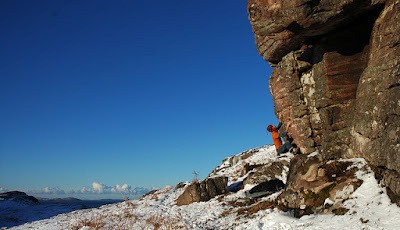 This gives the most complete low-down to date on the bouldering round the capital of the North West: Rhue Blocks, Cnoc Breac, Tighnamara, Ardmair Beach, Ardmair Crag, Reiff in the Woods, Reiff and other areas. 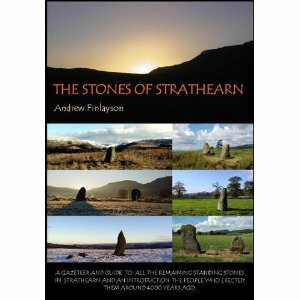 Andrew Finlayson, the producer behind One Tree Island Publishing, has brought out a lavish new guide to the standing stones of Strathearn. This fertile and secluded land, situated in the Earn valley between Perth all the way up its headwaters of Lochearn at St. Fillans, is home to some of Scotland's earliest monoliths, cup-marked rocks and stone circles. 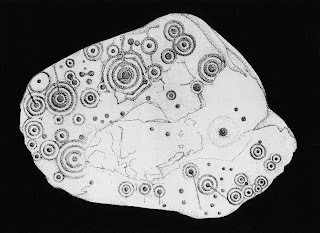 These distant echoes of a neolithic society still have a resonance to them, a tangible sense of place, and Andrew has produced this superbly illustrated gazetteer to the history and provenance of these stones. This convenient ring-bound book acts as both a guide to each site and a detailed history to its neolithic society, engineering, farming, astronomy and symbology. He details each stone meticulously and with fine technical drawings and colour photography, including more famous monoliths such as the Sma Glen's Ossian's Stone, as well as 'quieter' but astronomically important stones such as Tullybannocher. The beautiful artwork re-creates the cup and ring marked artwork and makes us ponder the complex spirit of the neolithic mind. This is a tremendously detailed re-imagination of a Scottish neolithic valley, leading us between its silent monoliths and capturing the rhythms and deep connections of a long-vanished culture, one obviously sophisticated enough to understand its small place in the universe. Unlike some fatally mystical books on the subject, it is refreshingly practical and lets the stones do the speaking: as Andrew says - it is 'heavy on fact, light on fairies'. The ring-bound book also a fantastic walking guide to the stones and is available with a free 2011 calendar through the One Tree Island site or here at Amazon. The icy Christmas lasted well into the New Year and some fine blue days could be had in between the grey ones. Bouldering at Reiff in the Woods, Tighnamara and Ardmair was perfect on those days with no wind, but what with temperatures so minimal, the slightest wind made for perishing days on the rock. 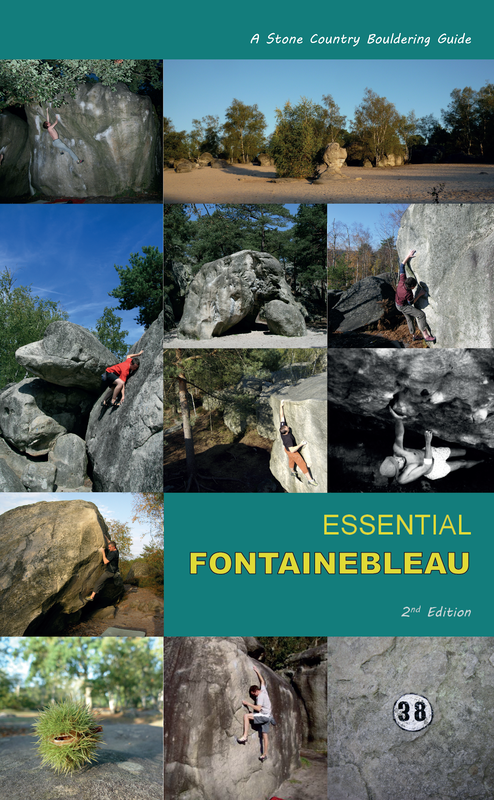 Reiff in the Woods has seen some new attention with Nigel Holmes cleaning and finding a classic wall on the Cubes area to give 'The Flood', a tough vertical grit-classic wall around the 6b mark which should become very popular. Tighnamara is a fine training venue which tends to be overlooked above Ardmair beach, but provides a quality training traverse and some sit starts when the burn is dry. Cnoc na Breac has a super pink leaning wall and a good summer circuit of walls and roofs around the crags. 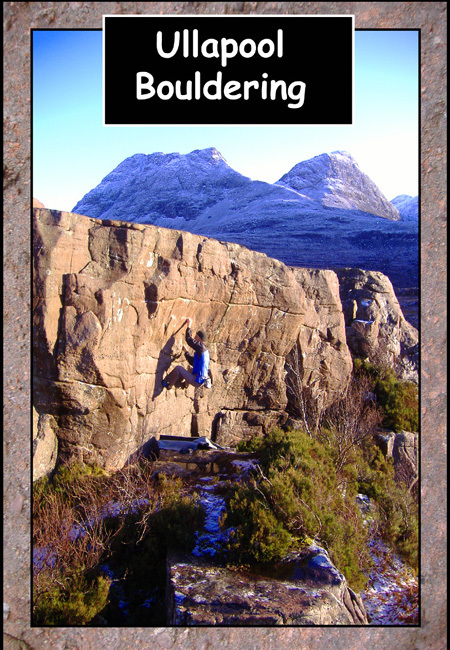 These areas and more are available in Ian Taylor's 'Ullapool Bouldering' guide which we should have in stock soon.